Summer 2014 marks 50 years since Beatlemania touched down in America. On August 18th 1964, one week after A Hard Day’s Night hit theatres, The Beatles left London for their first full tour of the US and Canada. Although Brian Epstein wanted no photographers to accompany The Beatles, Derek Taylor persuaded him to let Curt Gunther join the touring party. This unprecedented access to the band resulted in over 350 beautiful and unique photographs, showcased in a hand-bound limited edition. 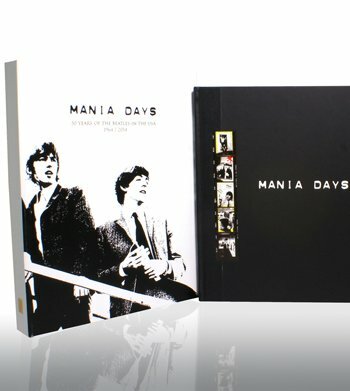 Inside MANIA DAYS, Curt Gunther’s photographs are introduced and illustrated with text from Derek Taylor, giving an intimate insiders view into the beginnings of Beatlemania. To celebrate this milestone, Genesis have created an anniversary case for MANIA DAYS. The new solander box is made from white buckram, with a photograph of The Beatles alighting in America and ‘50 YEARS OF THE BEATLES IN THE USA’ blocked in gold foils. 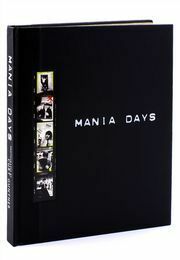 Available for a limited time only; click here to order your copy of MANIA DAYS today.